FRESNO – The bridal expo known as Premier Bride Showplace will be held this Sunday at the Fresno Convention Center Exhibit Halls in downtown Fresno. This bridal show is a must for any Central Valley brides looking for great ideas and useful information for planning an amazing wedding. Potential brides will have the opportunity to meet the finest wedding professionals in the Fresno area and enjoy an elegant fashion show featuring the latest bridal gowns and trends for 2014. Grand prize giveaways and two runway fashion shows will take place at 11:30 a.m. and 2 p.m. The event runs from 10 a.m. to 4 p.m., and tickets are $8 in advance and $10 at the door the day of the show, cash only. 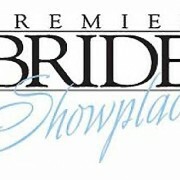 For more information, visit www.fresnoconventioncenter.com or www.pbshowplace.com.